September 18th in Social Media by Wordpress Jedi . 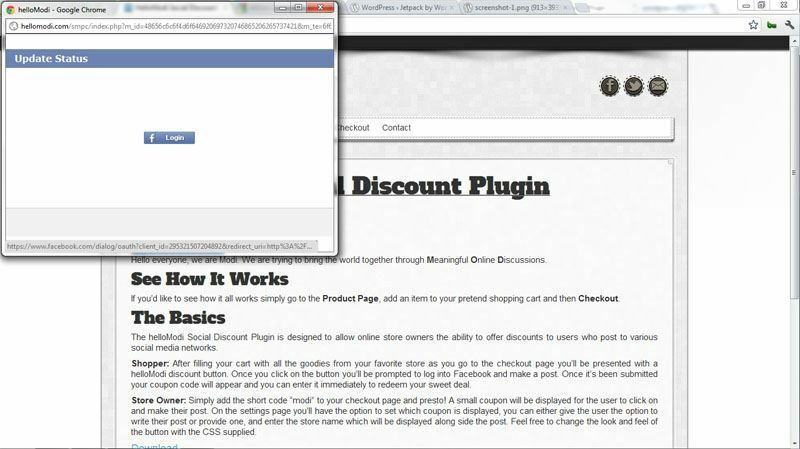 ShareYourCart: a social coupon plugin for WooCommerce that helps you get more Facebook shares and Twitter tweets. Just choose how much discount you would like to offer for likes and tweets and keep an eye on your results. Social Coupons: this WooCommerce coupon plugin gives your visitors an incentive to spread the word about your business on top social networking sites. 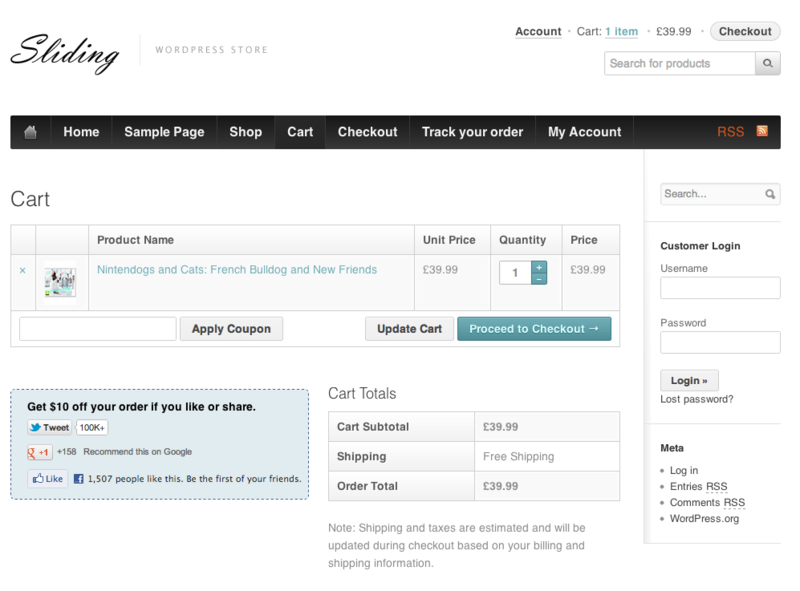 You can set custom URLs for checkout and cart pages and change other settings. Facebook, Google+, Twitter, LinkedIn, and VK Like buttons are supported. 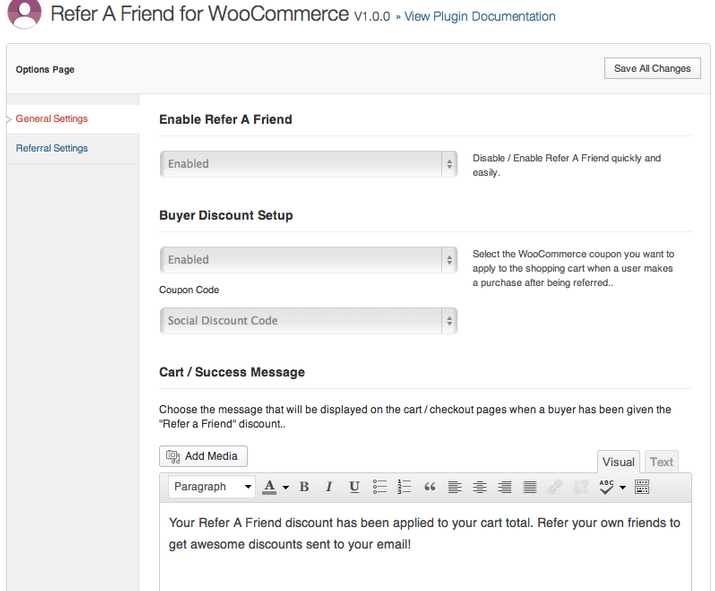 Viral Coupon: another plugin you can use to make your deals go viral. It is compatible with WooCommerce 2.0. Twitter, Facebook, and Google+ are supported. Social Discount Plugin: encourages your visitors to share your pages with their friends on Facebook in return for a reward. 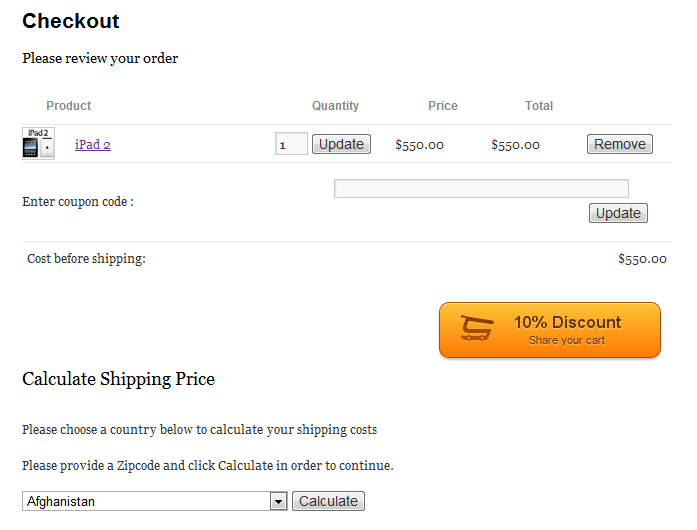 This is compatible with the WooCommerce and WP e-commerce shopping platforms. Refer A Friend: not a classic social coupon plugin but it does encourage your visitors to share your deals with their friends to get rewarded. It’s like having your own affiliate program without having to actually manage affiliates. Let’s not forget that not all these plugins require you to run WooCommerce. You are still going to have to offer great deals and customer service if you want to achieve any degree of success with your social media campaigns.